It’s a traditional Scandinavian ‘Djævlehue’ in garter stitch with increases/decreases. No seaming, a bit of grafting/Kitchener stitch, only two ends to weave in. Traditionally this hat is knit flat and then seamed. 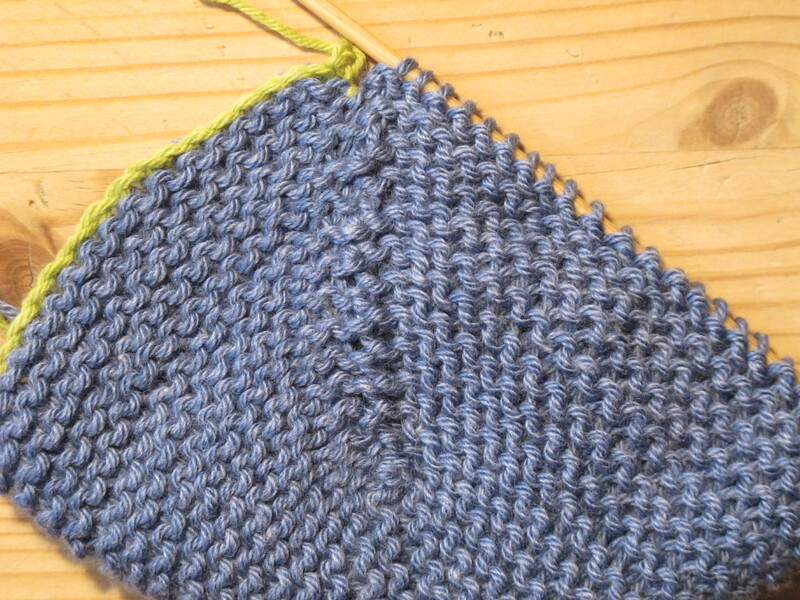 After seaming the cast on and cast off edges together, the bottom zig-zag edges on the picture above are seamed together to form the hat. 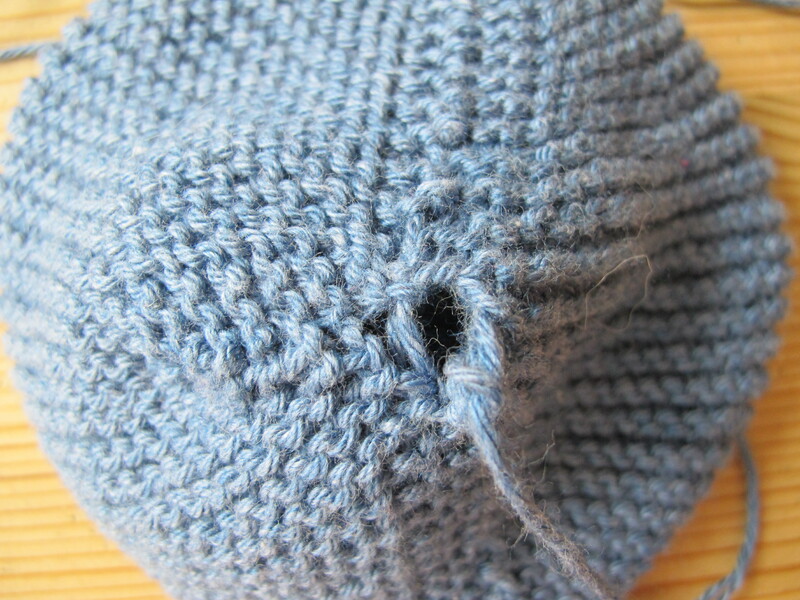 I suggest suggest you join the seams together as you knit – a bit like doing short rows. 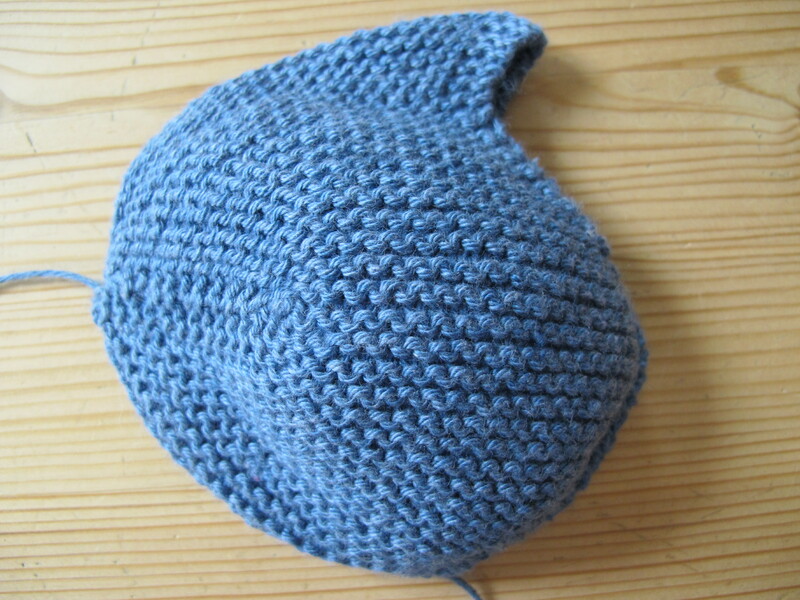 The beanie is knit sideways, from the middle of the back with little flaps for the ears and a super fit for the baby’s head. When knitting you count only the purl rows on one side. It’s even easier if you place a marker in the rows between each increase/decrease section. Row 1: K1, K2t, K20, M1. Then you knit the last stitch together with a picked up stitch from the side of the decrease a few rows below. Move the cast on-stitches from the crocheted yarn onto a knitting needle. Turn the knitting so each needle shows a purl row (and the knit rows are on the inside) before starting to graft. Start the grafting from the rim of the hat so you can use the end of the yarn to fasten the tiny hole in the middle of the hat. If you don’t know any preemies, give the hat to a charity! This entry was posted in Free patterns and tagged charity, Easy as pie, knitting, Pattern, preemie, Preemie Beanie, premature, WWKIP. Bookmark the permalink. What fun to discover your adorable pattern for preemie beanies! I will certainly copy and distribute it to our arsenal of wonderful volunteers who supply beanies and blankies for our tiniest minority in the NICU where I work as a nurse and educator. Thanks so much! Please visit our website for a peep into the world of preemies…a trailer of the film Micropremature Babies:How Low Can You Go? awaits.